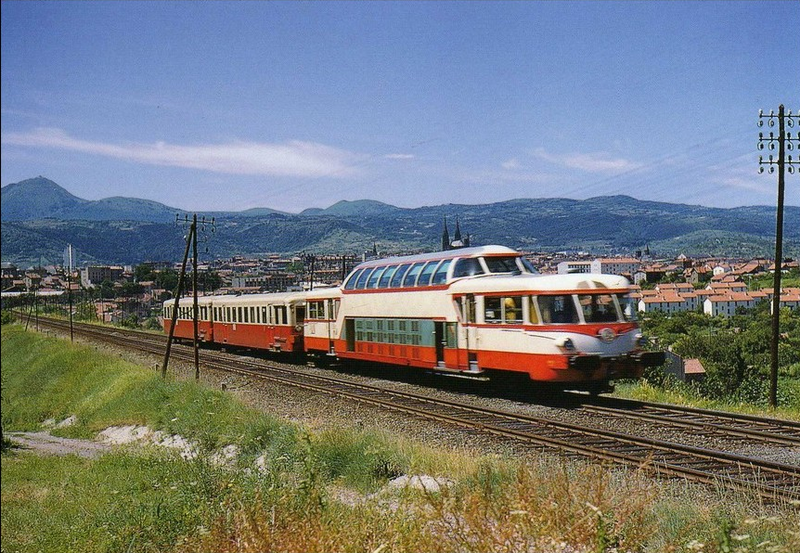 I came across a picture of a French railcar Made by Renault in 1959. A series of 10 were produced numbered X4601 to X4610. Not a lot of information around about this railcar. What I have found is in French (I can read it). It redefines ugly to the point of attractiveness, rather like the Daimler SP 250! Apparently Jouef made one in HO in 2010, but I cannot find it in any of their catalogues around that period. Mistral did / do make a very good HO model of it for nearly 400Euro. Oddities like this appeal to me! My interpretation is. . . It be broke Pity I was looking forward to seeing old Reggie ! I will now go and practice my French " Ave Vu un Cuppa ?" I was able to find it by deleting everything in the URL past "archives" to get to the archives, scrolling down to the links for archives by month, and going into the September 2015 archive. Excellent I'll check me books ,see if I have anything. Looks like an interesting scratchbuild project !